Some Days Look Better Upside Down -- Especially With The Light On! Hundred Acre Wood, but his friends like Pooh and Piglet love him anyway. 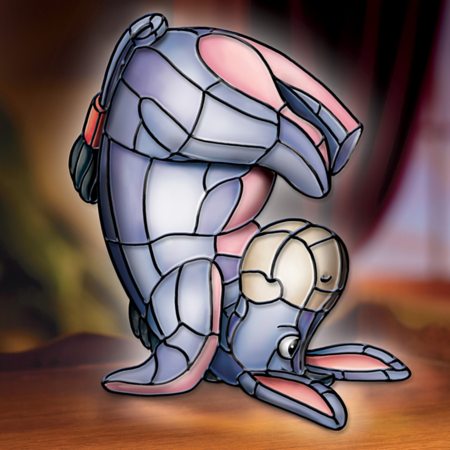 This lamp is the Disney animated version of Eeyore and is adorable. It is perfect for any Winnie the Pooh or Disney-themed decor. He is standing on his head to try to get a new point of view on life -- a bit of advice we could all use now and then. 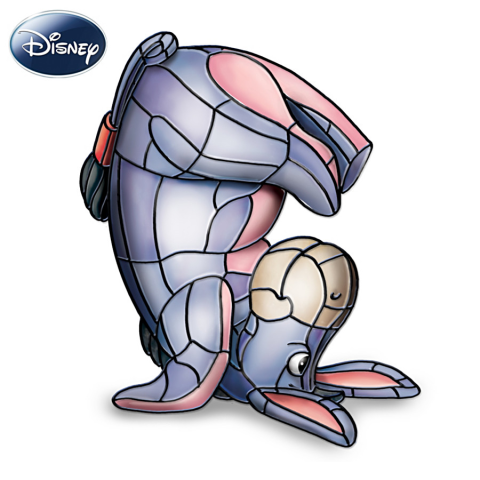 Eeyore is handcrafted and hand painted to ensure that he has the look of stained glass. Even though he is a beloved character from children's literature, this lamp is not intended for small children. However, this is a great gift for all those Eeyore fans out there (you know who they are). Eeyore Upside-Down Lamp, click here.